- VLC Procures, Processes and Packages hand picked Green Cardamom produced in parts of India. Our experts travel across India to find the highest grade of Green Cardamom to be Crushed, Grounded, and Blended. - We believe in providing superior quality, processed and packaged under maximum hygienic conditions. We are highly acknowledged organization engaged in presenting a remarkable range of Cardamom Powder. 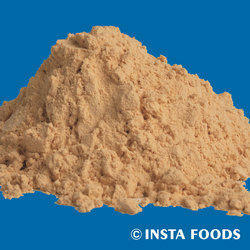 Demanded in food industry, this Master Grocer Cardamom Powder is used to increase the taste of food stuff. 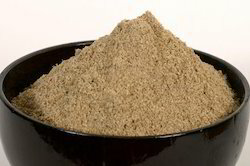 Best grinding of cardamom seed is done to let patrons have best products. These offered products have longer shelf life and availability in the market in purest form. Our company has gained name and fame in offering Green Cardamom Powder to the clients. Green Cardamom Powder is processed using natural ingredients under utmost favorable conditions in compliance with defined food standards at vendors end. This product is known for properties like purity, rich taste, aroma and freshness. Backed by our rich exposure in this domain, we are offering the wide array of Cardamom Powder. The range offered by our company is free from any chemical. It is extensively used as a taste enhancer in number of Indian Cuisines. Our range of Cardamom Powder is pure, natural and organic in nature. Matching up with the requirements of our clients, we are involved in offering Cardamom Powder.